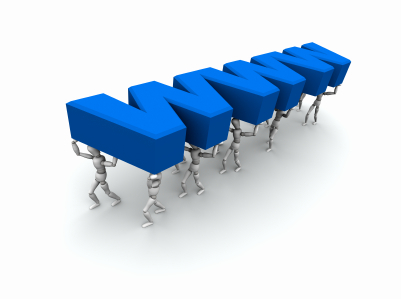 In this article, we are going to talk about domain names. Now many people already know what they are, but I know there are business owners who have the slightest idea about a domain name. I know a lot of business out there go out there and register free accounts. And basically, what they are doing is putting work in someones hands to take care of it. But they can disable your account at any given time. But I understand business owners such as yourself wants online real estate. 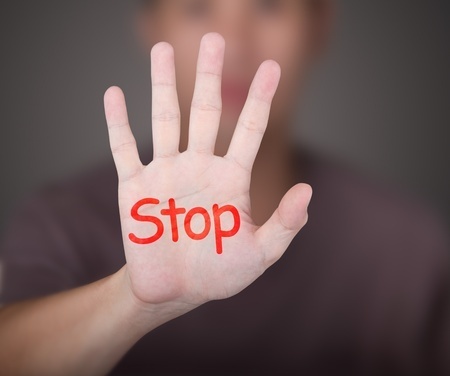 All they want is to get seen online to promote their product or services and get more customers. Which is why we are here to provide those webdesigns services for the local business owner that does not have time to do so. However, I do have to say, that unlike many other webdesigners that want to take the customer for every cent that they have, we have options, but only one requirement. That requirement is that the customer needs to get the domain name and hosting and all their internet properties for their business under their name, not us. Here at Harlingen Web Designs, we can provide those services. We can host your domain, we can do all that. But what happens when I crash and burn and die a fiery death the next day, what will happen to your online real estate? Not a pretty picture when you allow someone else to control your online real estate. Do you understand what I mean? Think about a domain name as your internet address. That is where people find you. Like you have a postal address, so is your domain name in the internet world. Such as Google.com, CNN.com, and Bing.com. So what can you use for a domain name. Well, I find myself with this question all the time, and the answer really is this. It’s up to you. What do you want to brand With Your Domain Name? Choosing a domain name is one thing, then you have to host it. And I show you how to get hosting for less then the price of a pizza. 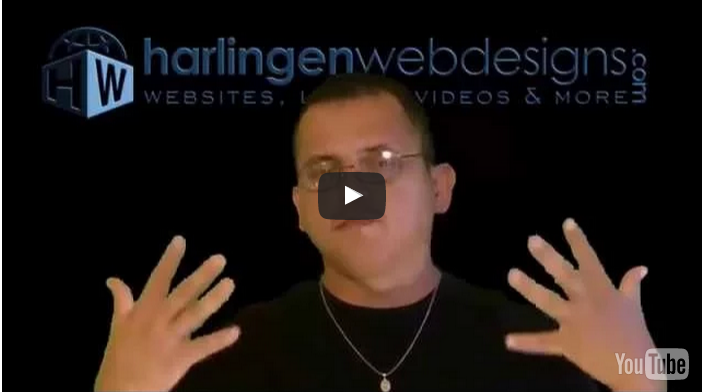 In that video about hosting, I talk about the options of creating more than one domain. With the plans associated with the ones I mention on the video about getting hosting, you can pretty much add as many domains as you want. Well, let’s say you have your business and your business is an auto mechanic shop or you’re a tax accountant. Your business name could be Cortez Auto Service or Triple Check Income Tax. What if you are a Dj and want to target people who are searching for Djs and you named your business RGV DJS. That works well, very well. That is what you are branding when you name a domain name after your business. You are branding your business. But let’s say you also want to brand yourself. You can register a domain name with your firstnamelastname.com like I showed you in the video. I cannot get a Dot Com domain with my name, and the person who bought this domain is selling it, but it’s not so worth it to me to purchase it from them. Now let’s imagine that Ray Cortez, owner of Cortez Auto Service, found a way to better test the diagnostics of a vehicle, and implemented a new system, and he wanted to put it online. Well, he could then register a TLD for his new device or product with a new domain name. Like for example, let’s call it the blue widget, where he could add bluewidget.com or something like that. Of course, with the hosting plan I recommend, you can do that for your company, and pay only for the new domain name, and the hosting price remains the same. Now what if Israel Cruz, owner of triplecheckincometax.com, wrote an ebook about how to save money on taxes and wanted to sell it. He could sell it directly online in his website, or create another domain name for that purpose alone. Let’s call it taxbegone.com. Of course this is just practice purposes only. And what if Gonzalo Garica, owner of RGVDJS.com decided to sell his music tracks online. He could create another domain name for his track collections. Not all domain names will be available so you can use adjectives and variables but try to stay away from hyphens. Also, you can use a keyword rich domain name, which will not provide so much importance in SEO, but use what you can to do brand what you want. There was a Google Update back in October of 2012 called EMD. That stands for Exact match Domain that targeted domain names that were ranking only becuasue of the name they used to use the targeted phrase. If you are in an MLM program and want to promote your product, I do recommend to try to get your firstnamelastname.com website up and running. If it’s not available, try firstnamelastnamemaketing.com, or marketingwithfirstnamelastname.com, or something. For this, you will need to brand your name. You should know that all domain names are not branding, but catchy. Think about Itsy.com, where people post their products for sale. Zoosk.com, a dating site. 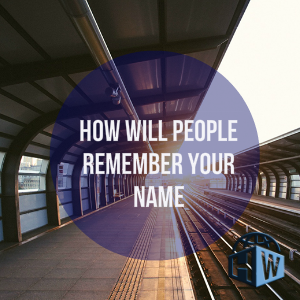 Those domain names are not branding a particular product name, but the names are catchy, short, and people remember them. So the next step, after you read and watched the video is to get a domain name Here. Then contact us to get it done for you, or continue reading on to get your site going on! Do not start your online properties with free accounts. We use online free accounts too, but no so much for our business. Carlos, your video on how to buy a domain name would be helpful to a new person doing it for the first time. I know for me, video is always easier that reading a bunch of text. I like the step-by-step method you used as well. Please keep posting these kinds of videos! I have to remember that after the recreation of this site, I forgot the very basic of tutorials because I took it for granted that everyone knew this because I knew it. And that is not just the case. I also have a tutorial on how to get hosting, and will be adding more to compliment these videos. Thanks for the comment and the reminder. Hi Carlos…Your posting is packed with a lot of great info on domains. I think that is so important that you stressed that the business owner needs their own domain and hosting! I lost a site several years ago because the company that was hosting my site went out of business! Luckily I had the domain…but I had to start over with another hosting. Learned my lesson and back up my sites now! By the way, your video is very natural on buying a domain. You might want to explain what Whoisguard and SSL are. Other than that, it’s great! Looking forward to future posts! As I mentioned to Ron Miller, that although I had these tutorials before this recreation, I forget the simplest of things are still knew to other people. But thank you for your input. I do need to explain the whoisguard and the SSL. As a consultant myself, we often tend to overlook the basics. Fact is 90% of the stuff you take for granted is information your readers could use. We often forget how much we actually know in relation to people just starting out. It’s also pretty challenging to map out articles such as this in a ‘newbie’ friendly way and I think the Video is a great addition. And you are absolutely right, as some other commentors have mentioned, where I could have added some other information that I left out because of what I took for granted. Thank you for your comment. There’s a lot of really useful information here, thanks for sharing. You have made me think about some domain names that I already own and haven’t used for anything yet. I must dig them out and get them going. Thanks for your comment. I to have some domain names that need some work on. I start and stop, start and stop. It’s when I tend to customers that my other work stops to tend to the client and after that I begin again. So yes, I really understand how you feel. I just grabbed some PLR not to long ago that I am going to implement on some of those other sites. I liked the point that you mentioned how a domain can simply be a word that we make up that is catchy and short. Because it is catchy and short – it will be easy to remember, even though it is a made up word. Zoosk and Itsy as you mentioned are great examples of this. This is an excellent point to keep in mind when thinking of a web address for a new website.